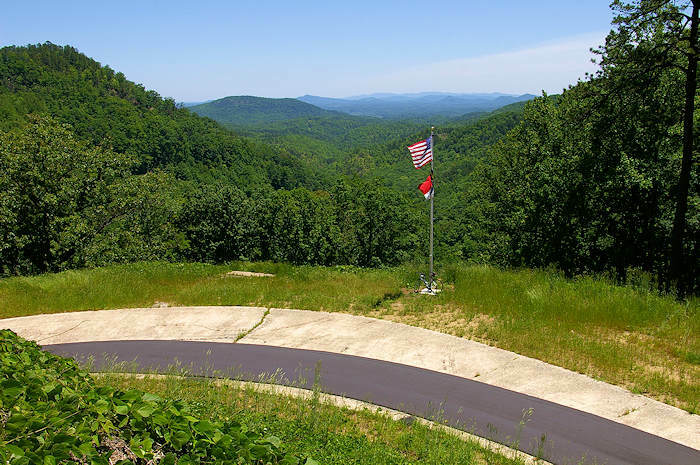 Located in south Asheville in the Pisgah National Forest and adjacent to the NC Arboretum and the Blue Ridge Parkway is the Bent Creek Research and Demonstration Forest and Lake Powhatan Recreation Area. 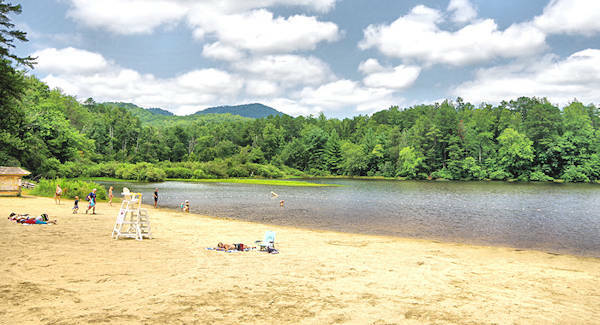 It's a popular biking and camping spot, complete with a lake and sandy beach. The collection of trails is well-suited to beginner and intermediate mountain bikers, families and groups. With some trails containing large climbs and technical sections, more advanced riders will have fun here as well. 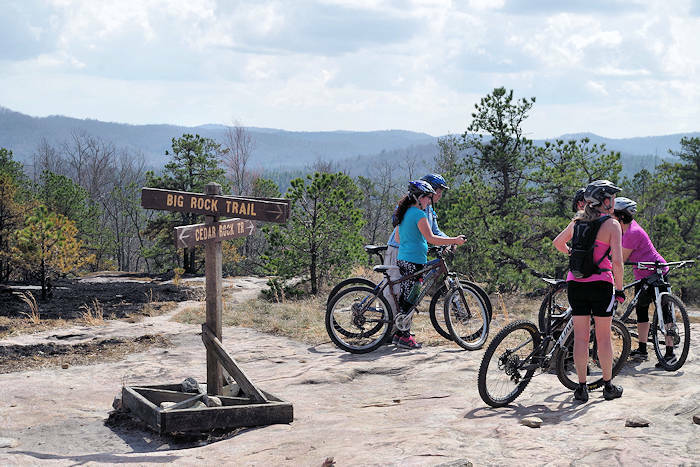 There are nearly 30 miles of double track and single track open for biking in Bent Creek Forest - with options for all skill and adventure levels. 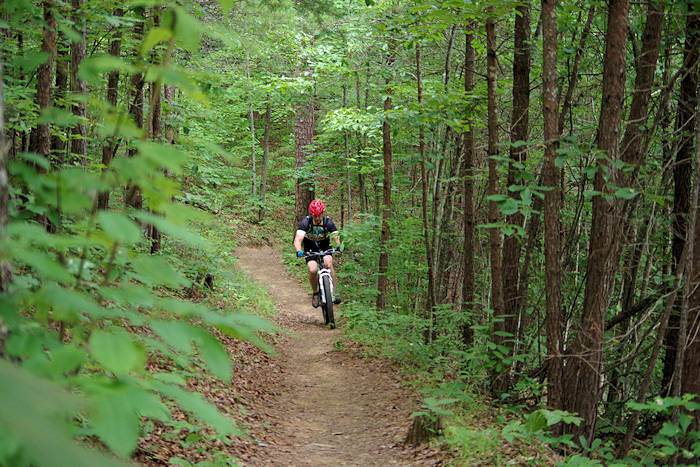 The easier Hardtimes Trail follows a forest service road leading to Lake Powhatan and links to a maze of trails. Bent Creek is a local's favorite because it is just a quick drive from Asheville. The road leads into a part of the original 1,100 acres George Vanderbilt purchased south of Asheville, part of which now contains the Biltmore House. None of the trails in Bent Creek are extremely technical, but there are definitely some challenging ones. Directions to Hardtimes Trailhead: From Asheville, take I-240 west to I-26 east and take exit #33 on NC 191. Turn left, pass the Asheville Outlets and go south on NC 191 for two miles. Turn right at the stoplight onto Bent Creek Ranch Road, following the brown signs to the Lake Powhatan Recreation Area (bear left at fork after 0.2 mi. on this road). The signed Hardtimes trailhead parking area is two miles down this road on the left. 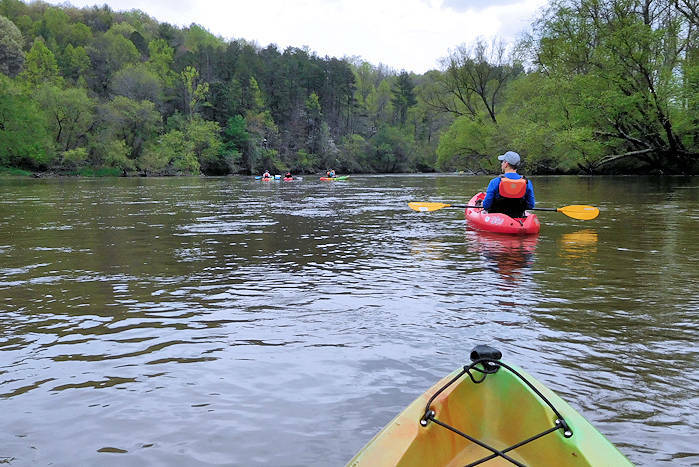 Other popular starting points are beyond Hardtimes further toward Lake Powhatan. 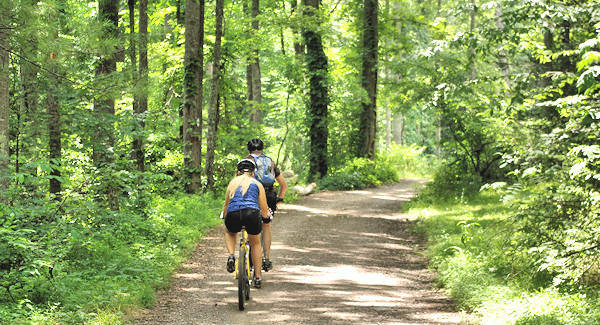 Download an NPS Map of Bent Creek Trails. 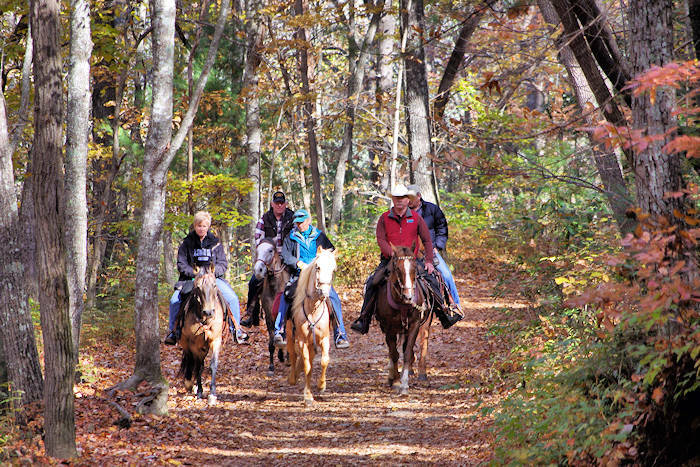 On multiple-use trails, bikers should yield to all other users and hikers should yield to horseback riders. If you're moving quickly on wheels or heels, call out as you come down steep slopes or around blind switchbacks and be ready to stop quickly. When in a group, travel single file to allow others to pass easily. When passing someone from behind, announce yourself by saying hello. Keep your dog on a leash where required and where trails are busy with other users. Take your trash with you, including animal and human waste. Located adjacent to Bent Creek is Lake Powhatan Recreation Area and Campground, a heavily-wooded area on the banks of a small lake. If you don't camp, you can also enjoy the area with a day visit ($2/person) for a picnic or an easy one-mile hike around the lake. 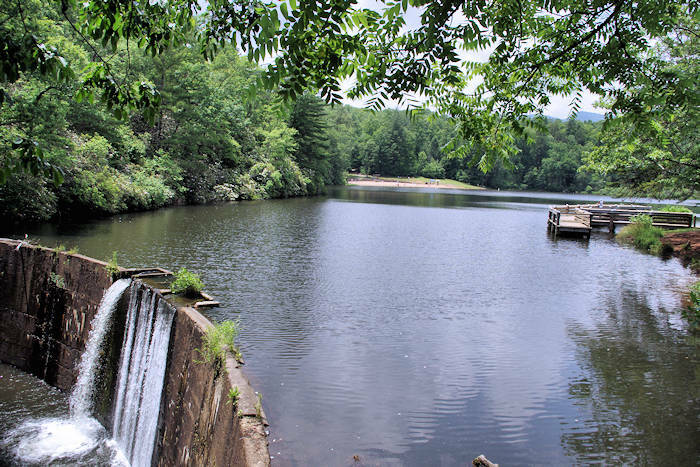 There's a mountain beach for swimming and a pier for fishing in the trout-stocked lake. Changing rooms and restrooms are located near the beach. There are no concessions. Weekend interpretive programs run from Memorial Day through Labor Day. 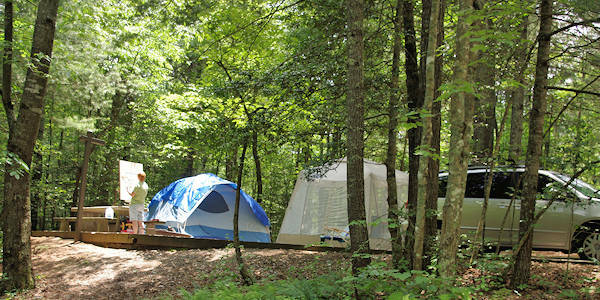 The shaded, private campsites are organized into four loops, all within walking distance of the lake. Provided are picnic tables, tent pads, lantern posts and campfire rings with grills, in addition to restrooms with hot showers and flush toilets. A few sites have full hookups for RVs. Campers can purchase ice and firewood and rent tubes on-site. Open March-November. Gate closes at 10 PM and reopens at 7 AM. Reservations must be made four days in advance. Must occupy site within first 24 hours or forfeit site. Sites are available for reservation. First come, first served sites available. Reserve online or call 1-877-444-6777. Camping costs are $22/site with 98 sites available. The maximum number of vehicles/people per site is 2 vehicles / 8 persons. There is a $5 charge for each additional vehicle. Pets must remain on leash. Quiet hours are 10 PM to 7 AM. No boats are allowed on the lake. Camping equipment must fit on the site. The Sierra Nevada Brewery is about 11 miles away. Directions: I-26, take exit 33, south approximately two miles on NC Highway 191 to the Lake Powhatan Recreation Area sign. Turn right and follow signs to the campground. See our Camping Guide for more places in the mountains to camp!